Maid Bright was established in 2004 as a local, family owned and operated residential cleaning company. Our company philosophy lies in the fact that each and every customer we serve is an essential part of our growing family in Northern Virginia, DC, and Maryland. We strive for excellence in each cleaning service we provide in order to establish strong family bonds! At Maid Bright we care about the relationships we continually build, which makes us a highly recommended, award-winning home cleaning service. Maid Bright has been recognized by various organizations and has a proven track record of providing superior customer service. In fact, Washington Consumer’s Checkbook, Houzz, Yelp, Angie’s List and EBSCO Research have ranked Maid Bright one of the highest home cleaning services in the Washington DC metropolitan area. 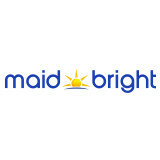 In 2014, Maid Bright won best maid service in Northern Virginia, awarded by NOVA magazine. In 2015, Maid Bright has named the winner of the small business award from Reston Chamber of Commerce. For the tenth consecutive years (2009-2018), Maid Bright has been the only cleaning service awarded the Angie’s List Super Service Award. Maid Bright is highly recommended by several local neighborhood referral organizations, including My Neighbor’s Network and Nextdoor. Maid Bright is a proud member of the Association of Residential Cleaning Services International (ARCSI). Maid Bright attended the 2018 ARCSI/ISSA convention held in Dallas, Texas. Maid Bright was also a contender in the Professional Image Awards in three categories: Best Vehicle, Best Logo and Best Website and was awarded the 2018 Best Website Award presented by ARCSI. We are extremely proud of this, as we are always looking for ways to change and evolve. Serving the Mid Atlantic /Washington, DC Maryland and Baltimore Area since 2018. 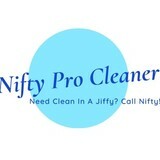 No job is too small or big for Nifty Pro Cleaner. We have professional to all natural cleaning products that disinfects and bring your home to a shine! Our Nifty Pro Cleaners are background checked and trained to perfection in house. You can conveniently book online or give us a call. We are here to serve your home. 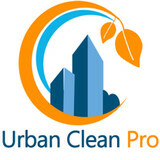 - Impact Cleans and Move In/Outs - Flat rate pricing for everyone! - Discounts for Monthly (10% off) Biweekly (15% off) and Weekly (20% off) cleans Maid service dc, residential cleaning service, reliable cleaning service, move out cleaning Why booking with us? - Simple Flat-Rate Pricing - Book & Pay Online in 60 seconds - Green, Eco-Friendly Home Cleaning & Pet Friendly - Bonded, insured, professional cleaning teams What makes us different? - Every time we do business with you we see it as a chance to impress you. - We're insured and bonded so you're always safe! - All of our employees are hand-picked to be "fun, outgoing, and awesome" and they all pass a background check. - We throw in cool surprises every time we clean. Who doesn't love extras? - We are honest. It's that simple. We don't hide anything from you. Our price is our price. History Established in 2012. 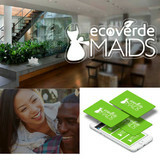 Ecoverde Maids grew out of a desire to provide an environmentally cleaning option to compete with the multitude of traditional cleaning companies serving the Washington, DC metro area. Through competitive pricing, attractive service plans and friendly customer service, Ecoverde has created a strong residential and commercial client base serving DC, Maryland and Virginia. Maids on Duty understands that your time is important to you! We pride ourselves in providing the best available services with minimal involvement on your part. Our customers trust our high quality service as we take care of their home with no disruption. Our qualified staff of professional cleaners and management welcomes the opportunity to serve you, your friends and family with customer care that exceeds your expectations. We truly take it as a compliment when a client places trust in us to let us take care of their home. Keep your home or business spotless with janitorial and housekeeping maid services from CLEANING CREW OF CAPITOL HILL, LLC in Washington, D.C. CLEANING CREW OF CAPITOL HILL, LLC, provides uniformed commercial and residential cleaning to remove all traces of uncleanliness from your home or office. Whether it's cleaning your kitchen or emptying the trash, we provide all kinds of housekeeping and commercial janitorial services to keep your property in tip-top shape. Contact Cleaning Crew of Capitol Hill 202-510-4620 for Janitorial Services, Housekeeping (Maid) Services. We provide Commercial Cleaning, Carpet Cleaning, Cleaning Services, Housekeeper, Building Cleaning, After Event Cleanups, Construction, Cleanups, Power Washing, Floor Care Services: Buffing, Stripping, Waxing and General Office Cleaning in the Washington Metropolitan Area. Absolute Shine Cleaning Services: It is not only house or office cleaning. Absolute Shine offer comfort, reliability and devotion to everything we do. Home cleaning is done in such a manner that we treat your home like our own and we use only the best natural BETTER LIFE cleaning products for your well-being and your family's safety in NOVA. No hidden fees or costs . We offer very Convenient & simple, flat pricing. Our cleaning teams are trained to do what's best for you home or office. Happiness Guarantee Offer a 24 hours. If you're not happy with your cleaning, contact us and we will send a different team any no cost. We provide two levels of home care meant to help everyone's different needs. Our premium cleaning service is a fantastic and cost efficient way to keep a sparkling clean home with only minor preparations before each visit. For clients seeking more of a helping hand around the house, we also offer housekeeping services. No matter what type of service you choose, our cleaning specialists will mop, sanitize, vacuum and scrub around your house to reveal a sparkling clean living space. 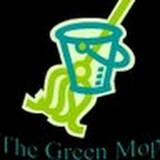 Two Maids & A Mop is a growing, women-owned residential cleaning business servicing Montgomery County, DC and NoVA and we are unique in that we utilize a Pay for Performance Plan wherein our maids are compensated based upon your rating each and every time that we clean your home. We also believe in giving back to our community and we proudly partner with Cleaning For A Reason to provide free cleaning to women battling cancer. Does your castle need cleaning? We will treat your kingdom the way it deserves. we'll leave your house gleaming like the Jewel of the neighborhood. I will look so good your neighbors will even ask you who did it. What should I expect from a house cleaner in Centreville, VA? Most professional Centreville house cleaning services will do the same tasks for a basic residential cleaning job: clearing dust and cobwebs from all surfaces and fixtures; wiping all surfaces, including sinks, tubs, counters mirrors; cleaning tile; vacuuming and mopping. You may want to have different rooms detailed at different times, so ask about doing a rotating schedule if you want them to pay extra attention to each space (like kitchens and bathrooms) every other cleaning. Some house cleaning companies in Centreville, VA will also offer additional services such as window washing or appliance cleaning, so ask about incorporating them into your deal or doing them as a one time thing if you’re interested. Pick up any clutter (laundry, toys and other gadgets) and put pets in a secure spot so they feel safe and don’t get in the way of the Centreville house cleaning company. Put out any specific cleaning products or tools you want used, and make sure to lock up any valuables that you don’t want disturbed. Most housekeeping services in Centreville, VA will enter with a spare key or garage code, but if that isn’t something you’re comfortable with then you should arrange for them to come when you are home to let them in. Typically Centreville house cleaners expect payment at the time of cleaning, so ensure you have the appropriate form of payment (cash, check or credit card) on hand, plus a little extra for tip if that’s your style and they do a great job. Find Centreville house cleaning services on Houzz. Narrow your search in the Professionals section of the website to house cleaners in Centreville, VA and contact local companies to ask questions and get quotes.